At Dental Care Center at Kennestone, we understand you and your family are busy. It can be difficult to find time to schedule dental visits for the whole family. To make it simple and easy to get the dental care you need, we offer convenient scheduling options. We can work with your schedule and ensure you get an appointment that will make it easier for you to visit our office for your dental care. 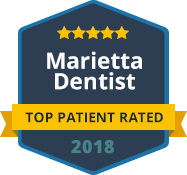 To schedule your dental visits, you can always call Dental Care Center at Kennestone at our office in Marietta. Our team will find the best time to suit your needs. However, you do not need to wait until office hours to make your dental appointments. You can schedule your next visit 24/7 with our online booking option. Schedule your appointments when you have the time to focus on when would be best for you and your family. Patients can do this from the convenience of their computer or mobile device. If you have a growing family, it can be time consuming to ensure everyone gets the dental care they need. Running back and forth to our office for each child’s checkups and other treatments take more time than you can afford. Try our family block dental appointments and save time and money. Schedule everyone on the same day at the same time. Our team will care for all your family’s dental needs in one sitting, making it much simpler to keep up with your family’s oral care. At Dental Care Center at Kennestone, we do our best to make dental visits easier and convenient for our patients. We accept most dental insurance plans, and we have payment plans available to fit your budget. 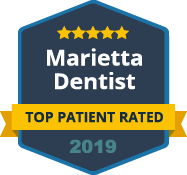 Contact our office to schedule your next visit or book your appointment online. We look forward to seeing you and your smile.